Moxa caps with perforation for moxa punk and needle head moxa. 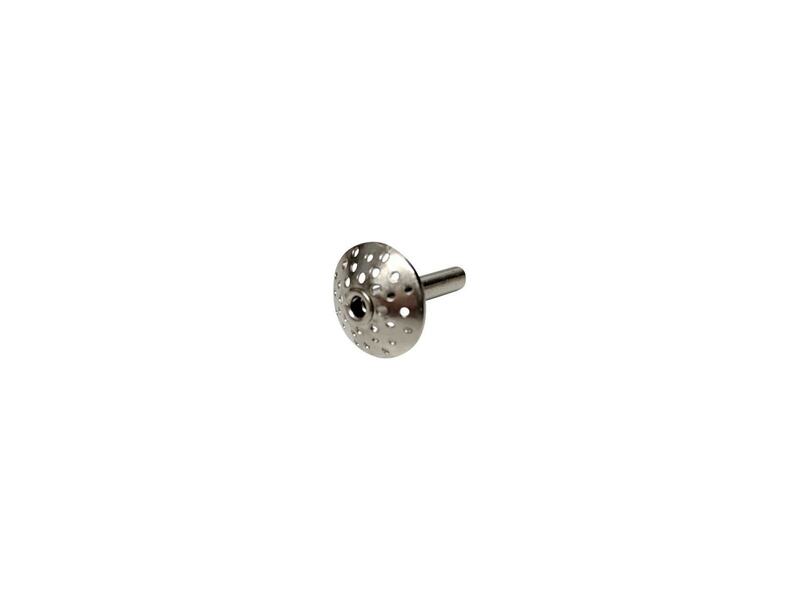 Chrome plated stainless steel moxa caps can be used by placing moxa punk or needle head moxa and applied with needling for better protection and to prevent loose moxa particles falling onto the skin. The caps can be used easily with our spring metal DongBang DB100 (Box of 100), DB105G (Box of 500) and DB106 (Box of 1000) needles. Each cap can be used again and again. Please note caps can get very hot after use. Care should be taken with all moxibustion applications.